Guntur is a city in the southern Indian state of Andhra Pradesh, located roughly 60 km from the Bay of Bengal. The city lies on the south eastern side of Hyderabad, the capital of both Telengana and Seemandhra, and is at a distance of 266 km from the state capital. The city limits of Guntur were expanded in 2012, to include ten villages that surround the city. Guntur is a very important part of the state of Andhra Pradesh as it is considered the cradle of learning and administration. It is regarded as one of the most developed cities in the state because it has the maximum of learning institutes and administrative organizations. Guntur is an important tourist destination of Andhra Pradesh and is famous for Kondaveedu Fort, the Undavalli caves, Amaravati, Uppalapadu Gardens and Prakasam Barrage to name a few. Guntur has a tropical climate like most other cities in the state and experiences very hot summers and moderately mild winters. The region receives moderate to heavy rainfall during the monsoon months. Guntur district has very ancient history, which could be traced back to as far as 500 BC. There is no other known region in the whole of South India whose history can be traced back to this afar. During ancient times, the Kingdom of Bhattiprolu existed in the present Guntur district. This has been proven by the carvings on the Idern plates that belonged to Ammaraja I, who was a Vengi Chalukyan king and ruled between 922-929 CE. 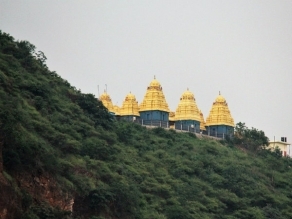 Guntur also finds mention in scriptures belonging to 1147 CE and 1158 CE. The scriptures show that Guntur was earlier known by its Sanskrit name, Garthapuri that means an area surrounded by ponds. The modern history of Guntur starts with the coming in of the Europeans. This ushered in a new era for the city as it gained both national as well as international importance. In fact, the French were so impressed with the development of the city that they moved their Army headquarters to Guntur in 1752. Later, the city was ruled by Nizam and by Haidar Ali. It was in 1788 that the British overtook the region under their empire. Under the British rule, Guntur was established as an important agriculture centre. This resulted in a railway track, in 1890. The development of the area continued even in the post independence era and continues even to this day. Guntur has left behind many south Indian cities in terms of educational and technological development. Guntur has no airport. 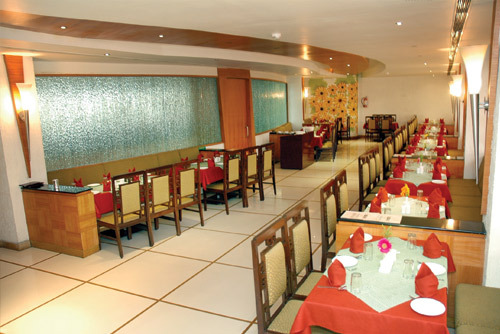 The nearest domestic airport is at Vijayawaya which is around 96 km away from Guntur. The nearest international airport is at Hyderabad, around 250 km away. It has a railway station that is well connected to the rest of the country via good network of rails. Trains from major metropolitan cities like Delhi, Kolkata, Mumbai, Chennai, Hyderabad and Bangalore can be taken for Guntur. The city is also well connected to the neighbouring towns within the state as well as outside the state. 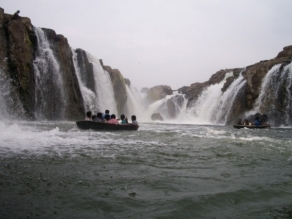 Since it is a major tourist destination, Guntur receives major influx of tourists during the tourism months. For this reason, many new trains from far and wide have been started by the Southern Railways, to meet the requirements of the tourists. The city has well-maintained roads that can be taken if travelling to Guntur in a private vehicle. There are many buses that ply regularly to the city. Deluxe and Volvo buses going to Guntur cost you more than a normal transport bus would. Guntur is the regional headquarter for the State Road Transport System. Therefore, the bus services that ply to and from the city are regular and excellent. The city lies in the path of many national highways including those coming from Chennai, Kolkotta and Hyderabad. The Hyderabad highway can take one to Delhi and Mumbai. The railway station at Guntur is well connected with many cities and towns thanks to the solid network of Southern Railways. The city receives regular train services from cities like Delhi, Bangalore, Mumbai, Chennai, Kolkotta, Hyderabad, Vijayawada and many more. One can take a taxi, a bus or an auto rickshaw from the railway station. There is no airport at Guntur. The nearest domestic airport is at Vijayawada which is around 96km away from Guntur. The nearest international airport is at Hyderabad around 250km away. One can take a private taxi from the airport to reach Guntur. It takes approximately 4.5 hours from Hyderabad to Guntur. 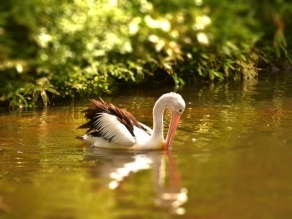 How About A Trip To Uppalapadu Bird Sanctuary This Summer?